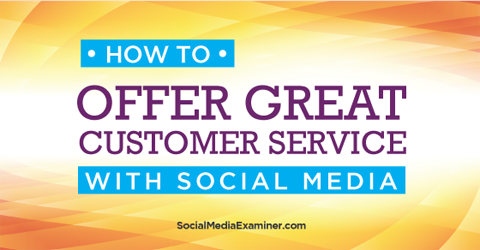 It’s important to have a plan in place for managing customer service on social media. First, define a clear social media strategy. Pinpoint how you can use social media to support business objectives to build and maintain relationships with your target audience. Next, identify which tools you’ll use to respond to customers. If you’re a small company, you may not need to use tools. If you’re a larger company with constant customer feedback, there are tools you can use to support workflow processes, facilitate approvals for sensitive questions and share feedback with the appropriate people. 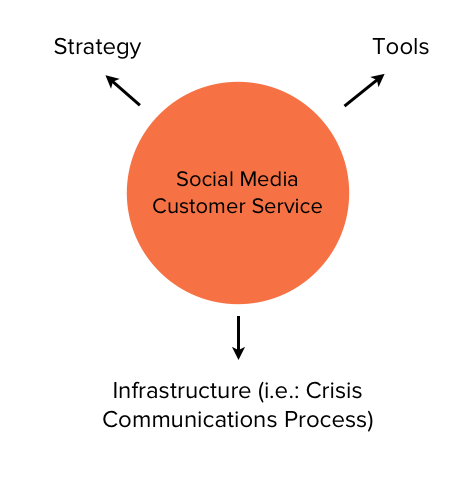 Define your company’s customer service plan for social media. Finally, develop a process for managing crisis scenarios, which often strike when you least expect them. If you’re in the restaurant business and a customer claims to have found a non-food object in his or her sandwich, a simple post on a Facebook page could quickly erupt into a much greater issue, especially if that customer has a significant following. A crisis plan will help you deal with real-time scenarios. If your company has a public relations or communications team, they will often have crisis protocols already in place. If not, ensure that you outline simple steps to get a response to such an event—for example, specify who you (or the community manager) need to coordinate with to develop a response. Any employees handling customer service for your business should have a clear understanding of your guiding principles and protocols. Start the staff training by reviewing your social media strategy and brand positioning and the types of social media tools you use. Make sure employees are well-versed in customer service protocols. Walk employees through your process for managing customer service, stress the importance of customer sentiment and explain how positive and negative reviews can impact your business. Address all social channels and review sites like Yelp. Also, provide a list of potential questions they’ll need to respond to. Include examples of negative and positive feedback. During training, use a grading scale to evaluate how employees manage sample scenarios to ensure they understand what appropriate steps they’ve taken—or what they need to work on. Lastly, have a manager or experienced customer service representative walk through live responses with employees, ensuring they’re prepared to do the job on their own. Let’s be honest—negative comments are scary. They can quickly turn away potential customers and leave a negative impression of your brand. To handle complaints effectively, you must listen and engage with your customers. Be prepared to handle unhappy customers. Image: Shutterstock. If customers leave negative feedback on social media, address their issues directly online or ask them to email you to take things offline. Although you typically can’t remove a negative post, other customers will see that you’ve responded to the complaint, giving them confidence that the company is listening and cares about its customers. If you have more serious customer issues, consider the public relations implications. Serious issues include selling electronic devices with defects that are causing injuries or food products that have been recalled. Leverage offline channels to drive online reviews. If you have a call center, a brick-and-mortar destination, an email database or other places where your company communicates with customers, ask customers to consider leaving reviews on your social channels. 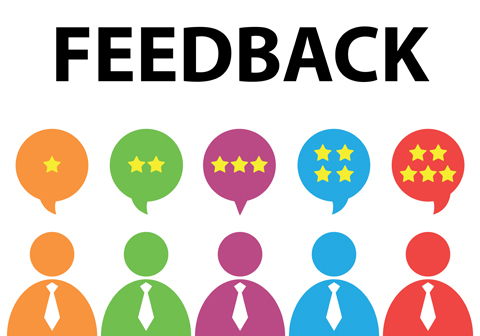 Ask for feedback to drive online reviews. Image: Shutterstock. 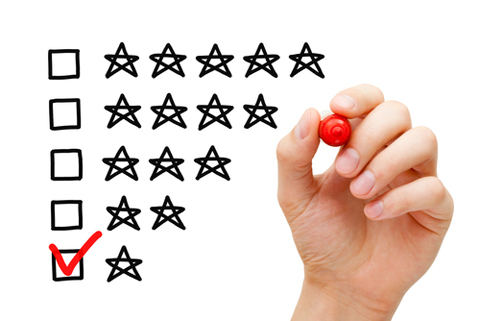 You can encourage customers to post on Facebook or leave an online review. Keep in mind that some review sites like Yelp have policies that state companies cannot explicitly ask customers to leave reviews. Feedback across social channels can be useful for developing new products fueled by consumer demand, and later supporting the sales funnel (and your sales partners along the way). For example, if your company manufactures bread and customers have been requesting new flavors on your social channels, listen and track that feedback. Create benchmarks to identify when a new flavor should be considered. 30 customer comments about cinnamon-flavored bread might indicate it’s time to consider producing such a product. Although the sample set is small, it may be an indicator of larger consumer interest in that flavor. Consider leveraging your partners and existing customers to solicit feedback for new product development. This may be as simple as sending a customer email survey or publishing a poll on a social channel. Share customer feedback throughout your company. Use the “What, So What and Now What” framework to share relevant and useful customer insights with other areas of your business. Share relevant customer insights throughout your company. Give the research and development team a heads-up about product issues. Talk to the legal group about potential lawsuits or individual customers to watch out for. For example, if legal firms are soliciting customers that have had negative experiences with your business, they may be considering suing your organization. Find out who the people in these firms are, identify what they’re talking about online and gauge how consumers are responding. Provide links to further information. Share with the executive team any information about marketplace positioning and competitor product announcements that are driving significant social buzz. 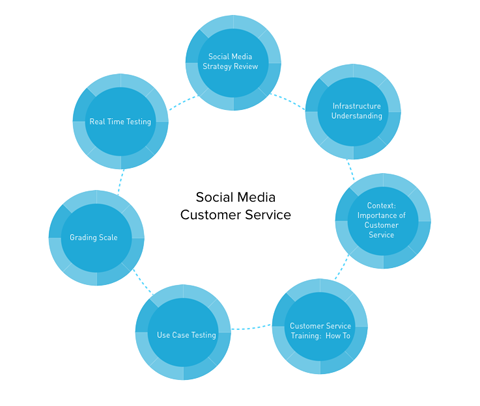 Handling customer service on social channels can be challenging. To be successful, you need to have clear customer service processes in place. Also, listen carefully to community feedback to support your business goals—from introducing new products based on customer demand to creating a positive brand perception.